Divorce occurs at the worst times imaginable. People feel abandoned, angry, alone, and all too often they can be vengeful. Bank accounts get closed, funds transferred, credit cards overcharged to their limits. And, of course, children all too often get caught in the middle of it all. Divorce has never been easy, it does not need to be this way. There is a better way to get on with your life. There is a way to ensure that your children transition to happy homes, to receive your share of the joint property, to not overpay on your support, and to get this painful time in your life over and completed. Certified Family Law Specialists are attorneys specialize in getting clients through their divorce. At the time you are considering the possibility of separating from your spouse, you should seek out a knowledgeable family law attorney to answer your questions and, if requested, get you started with your family law case. If you and your soon-to-be ex are on speaking terms, you should discuss the possibility of family law mediation. Mediators specialize in working with both parties to inform them of the law and get the parties quickly through the divorce and custody processes in a non-adversarial manner. For clients who are not on good terms with their soon-to-be ex-spouse, Ethan Weisinger is a highly effective litigator who fight for the right results. We fight for fair property division and fair levels of spousal and child support. 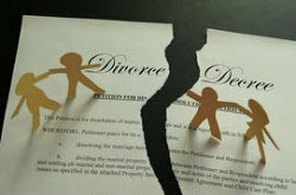 In the divorce context, attorneys will help you in complying with the required paperwork, comply with the mandatory disclosures, get custody of your children (if applicable), get support figured out (if applicable), divide property, handle reimbursement issues, and get you back to the marital status of a single Person.